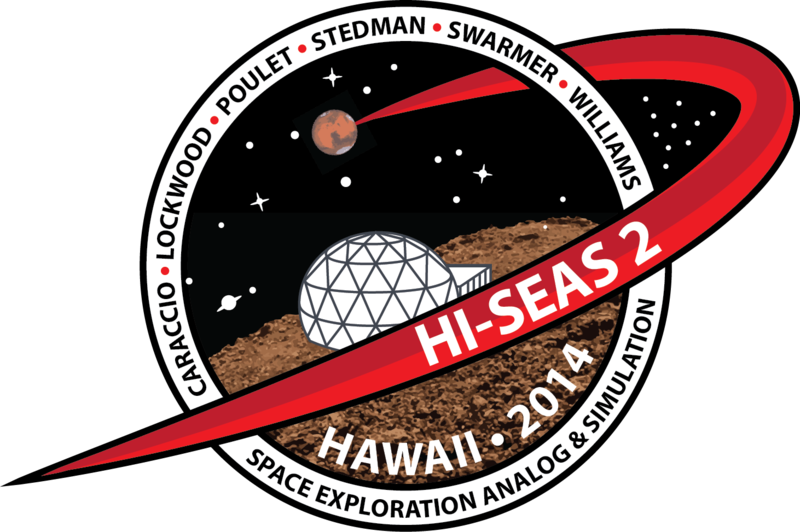 The Hawaii Space Exploration Analog and Simulation (HI-SEAS) program studies team cohesion and performance on long-duration simulated Mars surface missions at a remote habitat located on Mauna Loa, Hawai‘i. 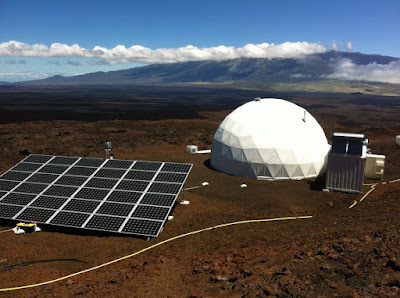 The basaltic terrain and sparse vegetation of the site make it a good geologic analog to the Moon or Mars, and since the site is accessible year-round, it allows for longer-term isolation studies than other analog locations. An 11-meter diameter geodesic dome structure enclosing two stories of living and working space serves as a habitat for a crew of six. The energy efficient "smart" structure is powered by a combination of solar and hydrogen power and is instrumented with numerous sensors that provide real-time monitoring and control of the habitat’s internal environment. 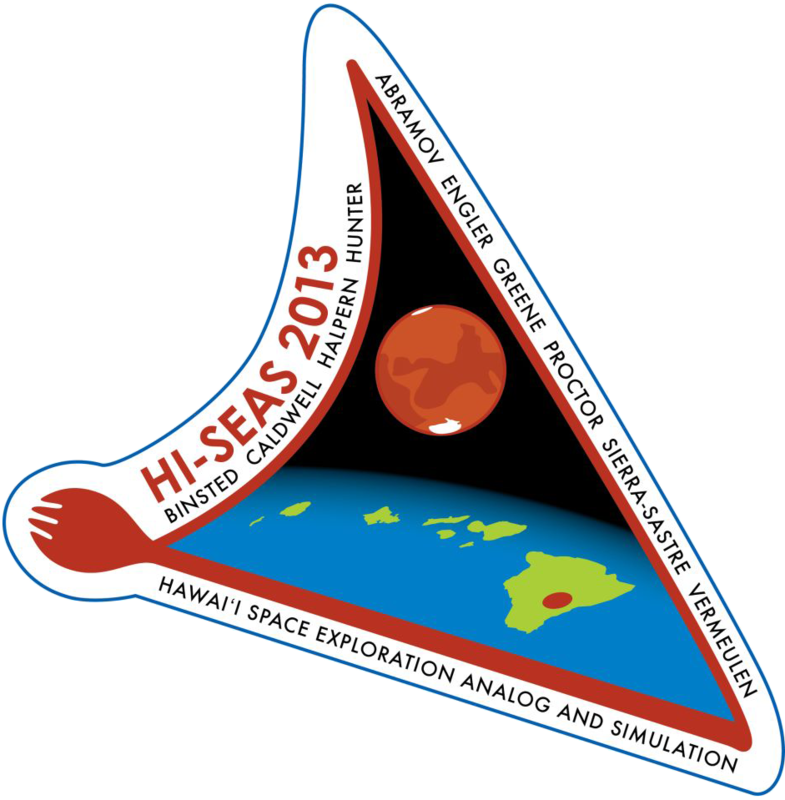 To date, the NASA Human Research Program has provided three grants to HI-SEAS. The first one covered the initial 4-month mission, as well as a bed rest and parabolic flight experiment, all aimed at studying food preparation and taste. After that, the project's focus shifted to crew function and performance with the second grant, which covered three more missions of 4, 8, and 12-months. Mission #4 starts in August 2015 and will be an entire year. A third grant will cover additional missions of intermediate duration starting later in 2016. 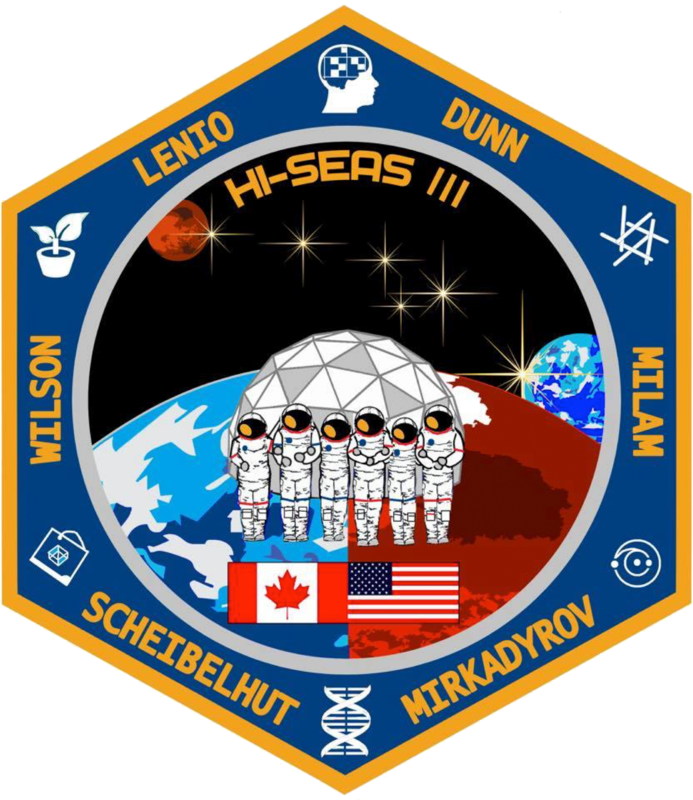 HI-SEAS crewmembers interact with a mission support team remotely via an imposed 20-minute communications delay to provide Mars-like operational latencies. Some of the crew’s activities require them to leave the habitat and conduct extra-vehicular activities (EVAs) while wearing simulated space suits to approximate the encumbrances astronauts would face while conducting such excursions. We have designed a series of geology-related EVA tasks that serve as mini research projects for the crew, who must devise how to gather data and solve the given problem with minimal interaction or direction from mission support. My role on these missions is to lead these geology exploration activities and coordinate the mission support team back on "Earth." Learn more in my post "Sailing on the HI-SEAS", check out my ICES 2013 poster, and read the rest of my HI-SEAS related posts.